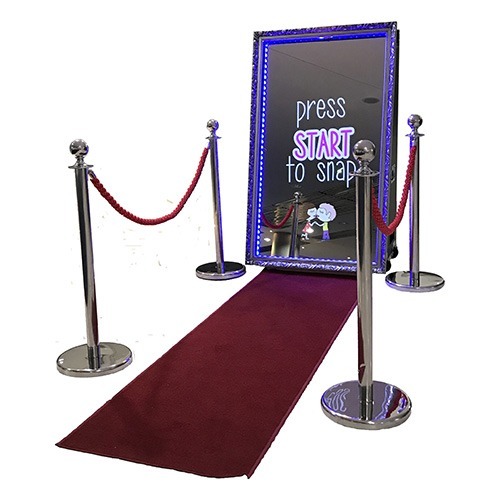 This wonderful magic mirror or selfie mirror is featured by My Fun Photo Booth, an award-winning and cheap Surrey- and London-based photo booth hire service. This fantastic mirror allows your guests to interact with the photos. It takes a full-length selfie with which you and your girls can show off your dresses and ball gowns. Customised templates are available and photos will be printed instantly. Even your guests can sign them and write messages on them using the touchscreen. Why to have only still photos and why not include moving people? Customised animations and messages on screen have become other attractive features of modern photo booths. Animated GIFs make your photos fun and add to the enjoyment of making faces, acting silly before the camera and using props of a traditional photo booth. This awesome feature is also offered by the above-mentioned My Fun Photo Booth. While your wedding guests will love posing before static backgrounds, adding digital screen backgrounds will add an extra fun element to their experience. With the digital screen, they can pose on the background of a beach, Taj Mahal, Grand Canyon or a snowy hill, even though they are inside your photo booth. Outdoor photo booths have already started emerging and getting popular in weddings that are conducted in more dynamic, laidback outdoor venues, such a garden or poolside. 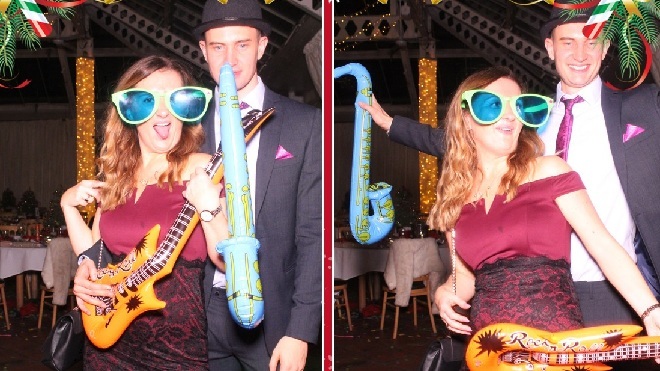 If you are planning to have your big day at such an outdoor venue to make your guests more comfortable to learn and network, an outdoor photo booth is just perfect for you because it can withstand weather changes and offer great fun. A photo booth is an excellent option to pair with wedding music and other wedding entertainment options. It will augment the fun of your big day and let those guests open up who are otherwise camera shy. And the above new features make them even more fun. So, have you started looking for a photo booth for your big day?